Today’s Blog Stop on the There’s This Guy Blog Tour is at Sinfully Gay Romance! So for this tour, I’m giving each blog two or three black and white mandala illustrations to colour in anyway you as the reader would like…and a chance to win a $10 or $15 gift certificate to the e-tailer of your choice (hopefully for crayons or books :D). 3. Send the picture in to rhysford(at)vitaenoir(dot)com by 30 March 2017 and be entered to win. All entries will be displayed and the winner will be randomly selected. All entries must be in to Rhys Ford by 30 March 2017 to be entered. Only one entry per person. Winner will be chosen on April 7th. Good luck, hit the blogs to get all the colouring pages and enter to win! How do you save a drowning man when that drowning man is you? Jake Moore’s world fits too tightly around him. Every penny he makes as a welder goes to care for his dying father, an abusive, controlling man who’s the only family Jake has left. Because of a promise to his dead mother, Jake resists his desire for other men, but it leaves him consumed by darkness. It takes all of Dallas Yates’s imagination to see the possibilities in the fatigued Art Deco building on the WeHo’s outskirts, but what seals the deal is a shy smile from the handsome metal worker across the street. Their friendship deepens while Dallas peels back the hardened layers strangling Jake’s soul. It’s easy to love the artistic, sweet man hidden behind Jake’s shattered exterior, but Dallas knows Jake needs to first learn to love himself. When Jake’s world crumbles, he reaches for Dallas, the man he’s learned to lean on. It’s only a matter of time before he’s left to drift in a life he never wanted to lead and while he wants more, Jake’s past haunts him, making him doubt he’s worth the love Dallas is so desperate to give him. 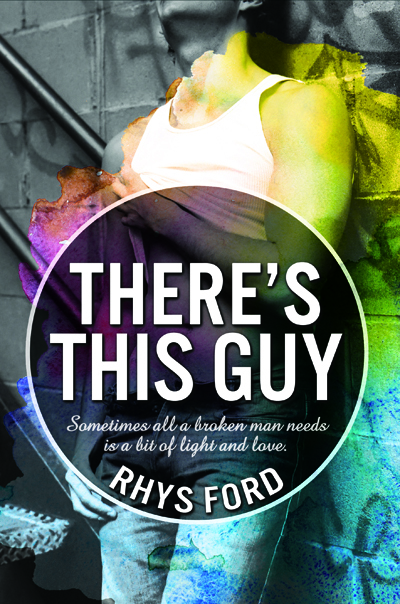 Today’s Blog Stop on the There’s This Guy Blog Tour is at Boy Meets Boy Reviews! LAST Blog Stop on the There’s This Guy Blog Tour is Prism Book Alliance! !